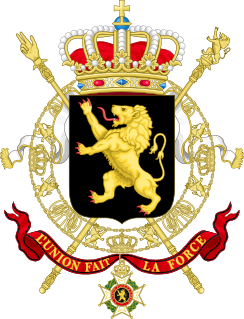 Grand Duchy of Luxembourg has long been a prominent supporter of European political and economic integration. In efforts foreshadowing European integration, Luxembourg and Belgium in 1921 formed the Belgium-Luxembourg Economic Union (BLEU) to create an inter-exchangeable currency and a common customs regime. Luxembourg is a member of the Benelux Economic Union and was one of the founding members of the United Nations and the European Economic Community (now the European Union). It also participates in the Schengen Group (named after the Luxembourg village where the agreements were signed), whose goal is the free movement of citizens among member states. At the same time, the majority of Luxembourgers have consistently believed that European unity makes sense only in the context of a dynamic transatlantic relationship, and thus have traditionally pursued a pro-NATO, pro-US foreign policy. Luxembourg is the site of the European Court of Justice, the European Court of Auditors, the Statistical Office of the European Communities (Eurostat) and other vital EU organs. The Secretariat of the European Parliament is located in Luxembourg, but the Parliament usually meets in nearby Strasbourg. Burkina Faso is accredited to Luxembourg from its embassy in Brussels, Belgium. Luxembourg has an embassy in Ouagadougou. Cape Verde has an embassy in Luxembourg City. Luxembourg has an embassy in Praia. Ethiopia is accredited to Luxembourg from its embassy in Brussels, Belgium. Luxembourg has an embassy in Addis Ababa. Luxembourg has an embassy in Niamey. Niger is accredited to Luxembourg from its embassy in Brussels, Belgium. Luxembourg has an embassy in Dakar. Senegal is accredited to Luxembourg from its embassy in Brussels, Belgium. Argentina is accredited to Luxembourg from its embassy in Brussels, Belgium. Luxembourg is accredited to Argentina from its embassy in Brasília, Brazil. Both countries established diplomatic relations on May 15, 2008. Brazil is accredited to Luxembourg from its embassy in Brussels, Belgium. Luxembourg has an embassy in Brasília. Canada is accredited to Luxembourg from its embassy in Brussels, Belgium. Luxembourg is accredited to Canada from its embassy in Washington, D.C., United States and maintains four honorary consulates (in Calgary, Montreal, Toronto, and Vancouver). Both countries are full members of the Organisation for Economic Co-operation and Development, NATO and the Organisation internationale de la Francophonie. Luxembourg is accredited to Mexico from its embassy in Washington, D.C., United States and maintains an honorary consulate in Mexico City. Mexico is accredited to Luxembourg from its embassy in Brussels, Belgium and maintains an honorary consulate in Luxembourg City. Luxembourg has an embassy in Managua. Nicaragua is accredited to Luxembourg from its embassy in Berlin, Germany. Embassy of Luxembourg in Washington, D.C. The United States, fighting on the Allied side, contributed to Luxembourg's liberation in World War I and World War II. More than 5,000 American soldiers, including U.S. Army General George S. Patton, are buried at the Luxembourg American Cemetery and Memorial near the capital of Luxembourg City, and there are monuments in many towns to American liberators. The strong U.S.-Luxembourg relationship is expressed both bilaterally and through common membership in NATO, the Organisation for Economic Co-operation and Development (OECD), and the Organization for Security and Co-operation in Europe (OSCE). Luxembourg has an embassy in Washington, D.C. and a consulates-general in New York City and San Francisco. United States has an embassy in Luxembourg City. Armenia and Luxembourg established diplomatic ties on 11 June 1992. Armenia is accredited to Luxembourg from its embassy in Brussels, Belgium, and an honorary consulate in Luxembourg City. Luxembourg maintains an honorary consulate in Yerevan. China has an embassy in Luxembourg City. Luxembourg has an embassy in Beijing. India has a consulate general in Luxembourg City. Luxembourg has an embassy in New Delhi. In November 1947, Luxembourg voted in favor of the partition plan to create a Jewish state. Israel and Luxembourg established full diplomatic relations in 1949. Israel is accredited to Luxembourg from its embassy in Brussels, Belgium. Luxembourg is accredited to Israel from its Ministry of Foreign Affairs in Luxembourg City. Japan has an embassy in Luxembourg City. Luxembourg has an embassy in Tokyo. Palestine is accredited to Luxembourg from its mission in Brussels, Belgium. Luxembourg is accredited to Palestine from its Ministry of Foreign Affairs in Luxembourg City. Luxembourg and South Korea established diplomatic relations on 16 March 1962. Both countries have a shipping agreement in 1987 and an air agreement in 2003. Luxembourg is accredited to South Korea from its embassy in Tokyo, Japan. South Korea is accredited to Luxembourg from its embassy in Brussels, Belgium. 1983 April Chairperson of the Advisory Council on State Affairs Choi Kyu-hah. 1996 October the Minister of Foreign Affairs and Trade Gong Roh-myong. From Luxembourg to the South Korea. 1997 September Grand Duke Henri and Minister of Economic Affairs Robert Goebbels. 2000 October Prime Minister Jean-Claude Juncker and the Minister of Foreign Affairs Lydie Polfer. (To attend the third ASEM meeting). 2001 March Hereditary Grand Duke Guillaume. 2004 March Minister of Economy Grethen. (Economic Mission). 2006 October Minister of Finance and Budget Frieden and Prince Guillaume of Luxembourg. 2011 April Ministry of Foreign Affairs Jean Asselborn. 2011 May Hereditary Grand Duke Guillaume and Minister of Economy Jeannot Krecke. Bilateral relations between the Republic of Turkey and the Grand Duchy of Luxembourg gained momentum with the opening of a Turkish Embassy in Luxembourg in 1987. Luxembourg has an embassy in Ankara, which was opened on 29 November 2011. Turkey has an embassy in Luxembourg City. There are 500 ethnic Turk's living in Luxembourg, 200 of whom have dual citizenship. The trade volume between the two States had reached $217 million in 2011. Luxembourg strongly supports Turkey's candidacy as a full European Union member. Both countries signed diplomatic relations in 1973. Luxembourg is accredited to Vietnam from its embassy in Beijing, China. Vietnam is accredited to Luxembourg from its embassy in Brussels, Belgium. Austria has an embassy in Luxembourg City. Luxembourg has an embassy in Vienna. Belgium has an embassy in Luxembourg City. Luxembourg has an embassy in Brussels. Czech Republic has an embassy in Luxembourg City. Luxembourg has an embassy in Prague. Both countries are full members of the Organisation for Economic Co-operation and Development, of the European Union and of NATO. 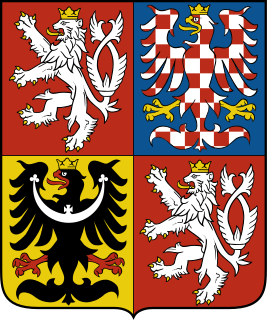 Both countries shared a common fate in the 14th century when John the Blind of Luxembourg married Eliška Přemyslovna sister of the deceased King Wenceslaus III of Bohemia and became king of Bohemia. Denmark has an embassy in Luxembourg City. Luxembourg has an embassy in Copenhagen. Both countries are full members of the Council of Europe, the European Union, and NATO. Luxembourg recognised Estonia on February 22, 1923 and re-recognised Estonia on August 27, 1991. [clarification needed] Both countries re-established diplomatic relations on August 29, 1991. In 1937, a prominent Estonian political leader Artur Sirk, while a fugitive in Luxembourg was found dead, having apparently committed suicide by jumping out a second-story window. Although the Luxembourg Gendarmerie report assumed suicide, because of inconsistencies in the report, the Estonian chargé d'affaires in Paris, Rudolph Mollerson was sent to investigate. Estonian historians including Pusta and Tomingas have argued that the death was an act of defenestration by agents of the first President of Estonia, Konstantin Päts. As of December 31, 2007, foreign investments made in Estonia originating from Luxembourg totaled 225 million EUR accounting for 2% of the total volume of foreign direct investments. There are about 300 Estonians living in Luxembourg. An Estonian cultural association was founded in 1998. The Estonian President Arnold Rüütel's state visit to Luxembourg was in May 2003, prime minister Andrus Ansip's in 2006. The Luxembourg Prime Minister Jean-Claude Juncker visited Estonia in 1999 and 2007. Estonia is accredited to Luxembourg from its embassy in Brussels, Belgium and maintains an honorary consulate in Luxembourg City. Luxembourg is represented in Estonia through its embassy in Prague (Czech Republic). Luxembourg is accredited to Estonia from its embassy in Prague, Czech Republic. Luxembourg recognised Finland's independence on October 25, 1921. Luxembourg is accredited to Finland from its embassy in Copenhagen, Denmark. Finland has an embassy in Luxembourg City. Luxembourg was besieged by Louis XIV of France in 1684 and was annexed by Revolutionary France to be part of the Forêts département during the War of the First Coalition in 1795 until Napoleon's defeat in 1815. France has an embassy in Luxembourg City. Luxembourg has an embassy in Paris, a consulate general in Strasbourg, and consulates in Bordeaux, Lille, Longwy, Lyon, Marseille, and Metz. Both countries are full members of the Council of Europe, European Union, NATO, the Organisation for Economic Co-operation and Development, and the Organization for Security and Co-operation in Europe. Germany has an embassy in Luxembourg City. Luxembourg has an embassy in Berlin. Greece has an embassy in Luxembourg City. Luxembourg has an embassy in Athens and 3 honorary consulates in Athens, Patras and Thessaloniki. Both countries are full members of NATO and of the European Union. Hungary has an embassy in Luxembourg City. Luxembourg is accredited to Hungary through its embassy in Vienna, Austria. Ireland has an embassy in Luxembourg City. Luxembourg has an honorary consulate in Dublin. Both countries are full members of the Council of Europe, of the Organisation for Economic Co-operation and Development and of the European Union. Italy has an embassy in Luxembourg City. Luxembourg has an embassy in Rome and 9 honorary consulates (in Florence, Genoa, Milan, Naples, Palermo, Perugia, Riccione, Turin, and Venice). There are around 19,000 people of Italian descent living in Luxembourg. Luxembourg recognized the independence of Kosovo on 21 February 2008. Kosovo is accredited to Luxembourg from its embassy in Brussels, BEglium. Luxembourg has an embassy in Pristina. Formal relations started on 1992-03-23. Luxembourg did not recognise the annexation of the Baltic States by the USSR in 1940-1991 either de iure or de facto. Lithuania is accredited to Luxembourg from its embassy in Brussels, Belgium and through an honorary consulate in Luxembourg City. Luxembourg is accredited to Lithuania from its embassy in Warsaw, Poland and through an honorary consulate in Vilnius. Malta is accredited to Luxembourg from its embassy in Brussels, Belgium and through an honorary consulate in Luxembourg City. Luxembourg is accredited to Malta from its embassy in Rome, Italy. Luxembourg has an embassy in The Hague. Netherlands has an embassy in Luxembourg City. Luxembourg has an embassy in Warsaw. Poland has an embassy in Luxembourg City. Luxembourg has an embassy in Lisbon. Portugal has an embassy in Luxembourg City. Both countries established diplomatic relations on December 10, 1910. Luxembourg is accredited to Romania from its embassy in Athens, Greece and maintains two honorary consulates (in Bucharest and Sibiu). Romania has an embassy in Luxembourg City. Luxembourg has an embassy in Moscow and an honorary consulate in Saint Petersburg. Russia has an embassy in the city of Luxembourg City. Both countries are full members of the Council of Europe, the Organization for Security and Co-operation in Europe, and the United Nations. In the history of bilateral relations, the first Russian president to come on an official visit to Luxembourg was Vladimir Putin on 24 May 2007. As bilateral trade had more than tripled from USD 66.6 million in 2003 to USD 228.3 million in 2006, time had come to strengthen the ties between the two countries, energy and finance being the key areas of cooperation between Russia and Luxembourg. Luxembourg has an embassy in Madrid. Spain has an embassy in Luxembourg City. Luxembourg has an embassy in Bern. Switzerland has an embassy in Luxembourg City. Luxembourg is accredited to Ukraine from its embassy in Prague, Czech Republic and through an honorary consulate in Kiev. Ukraine is accredited to Luxembourg from its embassy in Brussels, Belgium and through an honorary consulate in Luxembourg City. Luxembourg has an embassy in London. United Kingdom has an embassy in Luxembourg City. Australia is accredited to Luxembourg from its embassy in Brussels, Belgium. Luxembourg is accredited to Australia from its Ministry of Foreign Affairs in Luxembourg, City. Luxembourg is accredited to New Zealand from its Ministry of Foreign Affairs in Luxembourg, City. New Zealand is accredited to Luxembourg from its embassy in Brussels, Belgium. ^ "Gouvernement du Canada - Government of Canada". Retrieved 20 February 2015. ^ "Embassy of Luxembourg in New Delhi". ^ "Countries and Regions > Europe > List of the Countries". Ministry of Foreign Affairs, Republic of Korea. Archived from the original on 2013-12-24. Retrieved 2015-12-07. ^ a b c "Relations between Turkey and the Grand Duchy of Luxembourg". Republic of Turkey Ministry of Foreign Affairs. Archived from the original on 2015-02-20. Retrieved 20 February 2015. ^ "Luxembourg's FM voices support for Turkey's EU membership". Retrieved 20 February 2015. ^ "Luxembourg FM says EU needs Turkey to become global actor". TodaysZaman. Archived from the original on 20 February 2015. Retrieved 20 February 2015. ^ "Czech embassy in Luxembourg City (in Czech and French only)". Retrieved 20 February 2015. ^ Jan Kuthan. "Levné dárky pro muže i pro ženy nejen k narozeninám". Archived from the original on 2008-12-17. Retrieved 20 February 2015. ^ "Luxembourg". Retrieved 20 February 2015. ^ a b c d e f Estonian Ministry of Foreign Affairs. "Estonia and Luxembourg". Archived from the original on 2012-04-08. ^ Kasekamp, Andres (2000-06-03). The Radical Right in Interwar Estonia. ISBN 9780312225988. Retrieved 20 February 2015. ^ "Visite d'Etat au Luxembourg de S.E.M. Arnold Rüütel, Président de la République d'Estonie". Archived from the original on 2007-04-28. Retrieved 2009-06-11. ^ "Convention pour favoriser les échanges et les règlements commerciaux entre l'Union économique belgo-luxembourgeoise et l'Estonie" (PDF). ^ "Convention de double imposition : Luxembourg-Estonie". ^ "Estonia, Luxembourg sign tax treaty". 2006-06-15. Archived from the original on 2012-10-25. ^ "Ministry for Foreign Affairs of Finland: Countries and regions: Luxembourg". Archived from the original on 2015-02-19. Retrieved 20 February 2015. ^ "Embassy of Finland, Luxembourg". Retrieved 20 February 2015. ^ "Embassy of France in Luxembourg Ville, Luxembourg". EmbassyPages.com. Retrieved 14 March 2015. ^ "Luxembourg - Embassies and Consulates". EmbassyPages.com. Retrieved 14 March 2015. ^ "Department of Foreign Affairs". Retrieved 20 February 2015. ^ "ambasciatalussemburgo.it". Retrieved 20 February 2015. ^ "Le Luxembourg reconnaît formellement le Kosovo" (in French). Le Gouvernement du Grande-Duché de Luxembourg. 2008-02-21. Retrieved 2008-02-21. ^ Dizaino Kryptis. "Lietuvos Respublikos užsienio reikalų ministerija - Lietuvos Respublikos užsienio reikalų ministerija". Retrieved 20 February 2015. ^ "AMBASADA ROMÂNIEI în Marele Ducat al Luxemburgului". Retrieved 20 February 2015. ^ "Посольство України в Королівстві Бельгія та Великому Герцогстві Люксембург (за сумісництвом)". Retrieved 20 February 2015. Fally, V. (1992). Le Grand-Duché de Luxembourg et la construction européenne. Luxembourg City. Fally, V. (1996). Le Luxembourg face à la construction européenne. Luxembourg City. Frentz, Jean-Marie (2010). "The Foreign Policy of Luxembourg". In Steinmetz, Robert; Wivel, Anders. Small States in Europe: Challenges and Opportunities. Ashgate. ISBN 978-0-7546-7782-6. Hey, Jeanne A. K. (2002). 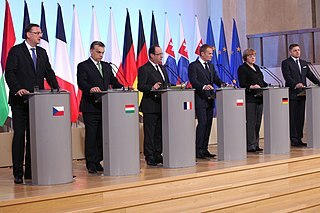 "Luxembourg's Foreign Policy: Does Small Size Help or Hinder?". Innovation: The European Journal of Social Science Research. 15 (3): 211–225. doi:10.1080/1351161022000027621. Hey, Jeanne A. K., ed. (2003). Small States in World Politics: Explaining Foreign Policy Behavior. Lynne Rienner Publishers. ISBN 978-1-55587-920-4. Hoffmann, Serge (2002). "Les relations germano-luxembourgeoises durant les années 30" [Germano-Luxembourgish relations in the 1930s] (PDF). Ons Stad (in French) (71). Retrieved 21 January 2016. Huberty, Martine (May 2013). "Ein kleiner Fisch im großen Teich Luxemburger Verhandlungsstragien im Kontext der EU-Institutionen" [A small fish in a big pond: Luxembourgish negotiation strategies in the context of EU institutions] (PDF). Forum (in German) (329): 21–23. Kayser, Steve (June 2006). "La neutralité du Luxembourg de 1918 à 1945" [Luxembourg's neutrality from 1918 to 1945] (PDF). Forum (in French) (257): 36–39. Retrieved 21 January 2016. Wurth, Hubert (2006). "La politique étrangère du Luxembourg" [Luxembourg’s Foreign Policy]. Revue Internationale et Stratégique (in French). 61 (61): 217–226. doi:10.3917/ris.061.0217. "Luxembourg and Europe, from the ECSC to the Treaty of Lisbon". Presidency of the Council of the European Union / Luxembourg 2015. The Byelorussian SSR was one of only two Soviet republics to be separate members of the United Nations. Both republics and the Soviet Union joined the UN when the organization was founded in 1945. Cyprus is a member of the United Nations along with most of its agencies as well as the Commonwealth of Nations, World Bank, International Monetary Fund and Council of Europe. In addition, the country has signed the General Agreement on Tariffs and Trade (GATT) and the Multilateral Investment Guarantee Agency Agreement (MIGA). Cyprus has been a member of the European Union since 2004 and in the second half of the 2012 it held the Presidency of the Council of the European Union. The Czech Republic is a Central European country, a member of the European Union, the Organisation for Economic Co-operation and Development (OSCE), the North Atlantic Treaty Organization (NATO), the United Nations. It entertains diplomatic relations with 191 countries of the world, around half of which maintain a resident embassy in the Czech capital city, Prague. Lithuania is a country on the south-eastern shore of the Baltic Sea, a member of the United Nations Organisation, the Organisation for Security and Cooperation in Europe, the European Union, the North Atlantic Treaty Organisation, the World Trade Organisation. Currently, Lithuania maintains diplomatic relations with 182 states Lithuania became a member of the United Nations on 18 September 1991, and is a signatory to a number of its organizations and other international agreements. It is also a member of the Organization for Security and Cooperation in Europe, NATO and its adjunct North Atlantic Coordinating Council, the Council of Europe, and the European Union. Lithuania gained membership in the World Trade Organization on 31 May 2001. The foreign policy of the Netherlands is based on four basic commitments: to the Atlantic cooperation, to European integration, to international development and to international law. While historically the Kingdom of the Netherlands was a neutral state, since 1945 it has become a member of NATO, the United Nations, the European Union and many other international organisations. The Dutch economy is very open and relies on international trade. During and after the 17th century—its Golden Age--the Dutch built up a commercial and colonial empire. It was a leading shipping and naval power and was often at war with England, its main rival. Its main colonial holding was Indonesia, which fought for and achieved independence after 1945. The historical ties inherited from its colonial past still influence the foreign relations of the Netherlands. Foreign trade policy is handled by the European Union. The Dutch have been active in international peacekeeping roles. The foreign relations of Romania are conducted by the Ministry of Foreign Affairs. Romania is a member of NATO and the European Union. 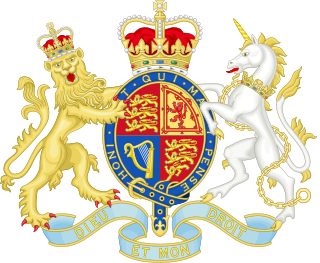 The diplomatic foreign relations of the United Kingdom are conducted by the Foreign and Commonwealth Office, headed by the Secretary of State for Foreign and Commonwealth Affairs. The Prime Minister and numerous other agencies play a role in setting policy, and many institutions and businesses have a voice and a role. Iceland established its foreign service in 1940 when Denmark became occupied by Nazi Germany and ties between the two countries were severed. The Republic of Iceland was founded in 1944. The Icelandic foreign service grew slowly in the post-WWII period, but increased rapidly after the mid-1990s. Iceland's closest relations are with the Nordic states, the European Union and the United States. Iceland has been a member of the United Nations since 1945 and NATO since 1949. In terms of European integration, Iceland is a member of EFTA, EEA and Schengen. Consulates and legations were operating in Australian cities long before the Commonwealth of Australia was founded in 1901. The United States opened a consulate in Sydney in 1836, with other countries later following including Switzerland (1855), Germany (1879) and Japan. The relations between Switzerland and the European Union (EU) are framed by a series of bilateral treaties whereby the Swiss Confederation has adopted various provisions of European Union law in order to participate in the Union's single market, without joining as a member state. All but one of Switzerland's neighbouring countries are EU member states. The Ministry of Foreign Affairs of the Republic of Lithuania is a governmental body of the Republic of Lithuanian that shapes the national policy, and organises, coordinates, and controls its enforcement in the following areas: foreign affairs and security policy: international relations, economic security, foreign trade, protection of the rights and interests of the Republic of Lithuania and its persons and entities abroad; coordination of European Union membership; representing the Republic of Lithuania abroad diplomatic and consular relations, diplomatic service, Lithuanian national and diplomatic protocol, international relations; the policy of cooperation of the Republic of Lithuania; strengthening of expat connections with Lithuania. The Ministry of Foreign Affairs was established on 4 November 1918, shortly after Lithuania reestablished its independence.